We love to wrap up in the finest Egyptian cotton towels after a bath so why do you think your puppy would like anything else? Our range of luxury puppy towels are perfect for wiping mucky paws after a walk and they are so snuggly and soft your puppy will love wrapping up in them after a nice bath. 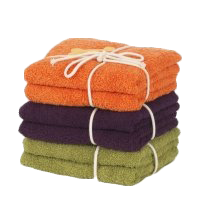 These luxury puppy towels are handmade by Love My Dog and you can choose from lime green, plum or orange. The luxury puppy towels come in a set of two so you will always have a spare clean puppy towel to hand if needed! Your new puppy has a lot to explore and no doubt he’ll get a bit muddy and wet when out on adventures in the park so make sure you are well equipped with some super soft puppy towels to wipe paws and muddy chops with. Our luxury puppy towels are made from fine Egyptian cotton and they come two in a set so while one is in the washing, you’ll have a second to hand. Choose from some great colours including purple, orange and green, each with contrasting bone motifs.